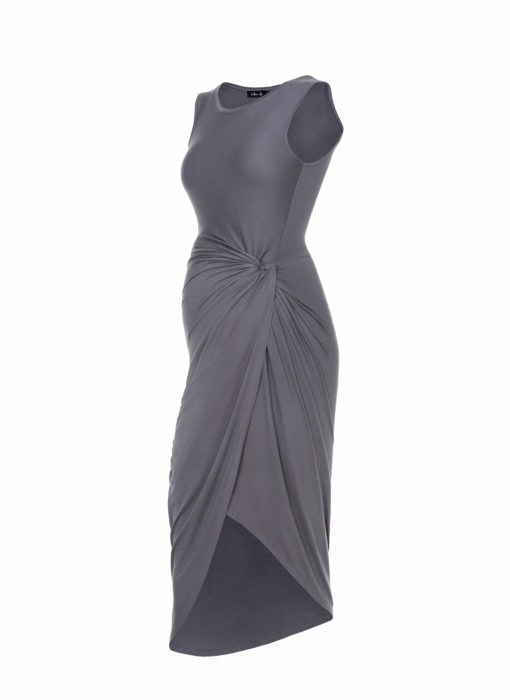 This beautiful piece is made with the highest quality chiffon fabric. It is detailed with delicate ruffles that are lined with gold sequins. 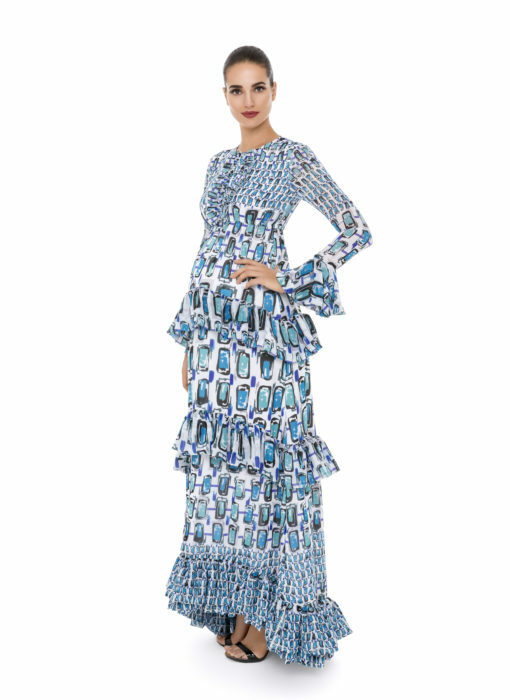 This dress is made to comfortably grown with your bump.